I think it’s fair to say that I have played my fair share of football management games over the years. From back when it was known as Championship Manager in the ’90s-early ’00s, to the LMA games on PS2 and, of course, Football Manager, I’ve played them all. Some are good and some are, let’s just say less good, but one thing has always been a constant and that is there has always been something off about the console versions of the footy sims. While Football Manager Touch 2018 for the Nintendo Switch isn’t perfect, it’s a mighty fine effort and without a doubt the best football management simulation to grace any console to date. I say console specifically because this isn’t the fully-fledged PC version, but the more streamlined ‘Touch’ version (not to be confused with the even lesser ‘Mobile’ version of the game) which keeps all of the majorly important stuff but cuts away some of the filler, such as the press interviews, team-talks and player interactions. This version is a way for your everyday players to dive in, get through seasons quicker and win trophies along the way without having to get invested in all of the complicated stuff that the PC version brings with it. If you have never played a game in the series before, I understand that the thought about managing your own football team and never actually playing or taking control of any of the action might sound a little boring, but in some ways I actually find it more entertaining than actual football games such as FIFA 18, it’s certainly more engrossing without a doubt. It is up to you to pick your team and reach your goals, which could be winning the league, avoiding relegation or simply trying to get as high as you possibly can. This, of course, depends on the team you select and while you have some say in how you think your season will go, you’re never given completely unassailable objectives for the season. Improving your team is ultimately your main focus in Football Manager Touch 2018 and you are given a whole plethora of options in order to succeed in doing this. Arranging transfers of players (both in and out), tactics, managing training, and developing youth players (which is somewhat limited in this version, more on that shortly), are just a handful of things you can do in your role as manager. If you are a seasoned Football Manager player on PC and enjoy other aspects such as having proper reserve and youth teams and being able to build up your very own youth empire, then you may be disappointed to hear that this version doesn’t really have that. You still have a reserve team but it’s much more limited in what you can do. Another aspect that gets the cut is you are only able to have a total of three nations playable in any one save. In other words, if you are the kind of player that enjoys starting out at a team but like to move on to teams in other countries after a few seasons then you are basically being limited here to three different countries. It also means that you can’t see league results or stats in any league you don’t select, which also limits the amount of data you are able to see about players in particular countries. I understand why this limitation is in place but it is a shame nonetheless as I am the type of football manager player that does enjoy moving around to teams in different leagues and being able to fully see which players are performing well in their respective team. Fans of the 3D match engine will be pleased to know that it makes its way over to the Switch version so you are able to view the matches as they are intended to be. You can still use the 2D classic view too, however, if you prefer that way. The 3D match engine still needs fine tuning as you can clearly see at times it just doesn’t work as well as intended, but it works well enough to not cause too much hassle during matches. In terms of how the game controls and plays on the Switch, I have to say that again, it’s head and shoulders above what any other console has managed to achieve over the years. This is largely to do with being able to use both the touch screen and utilising well thought out button mapping on the Joy-Con. Even when playing on the TV yields surprisingly good results because of the shortcuts and button mapping, such as the right trigger being used to continue and the left trigger being used to go back. It might sound really simple but it makes it much easier and quicker than having to use the analogue stick to move all the way up to continue whenever you want to carry on. There are a few bugs here and there, none of which are game breaking by any means, but it’s worth noting that it isn’t a flawless conversion. 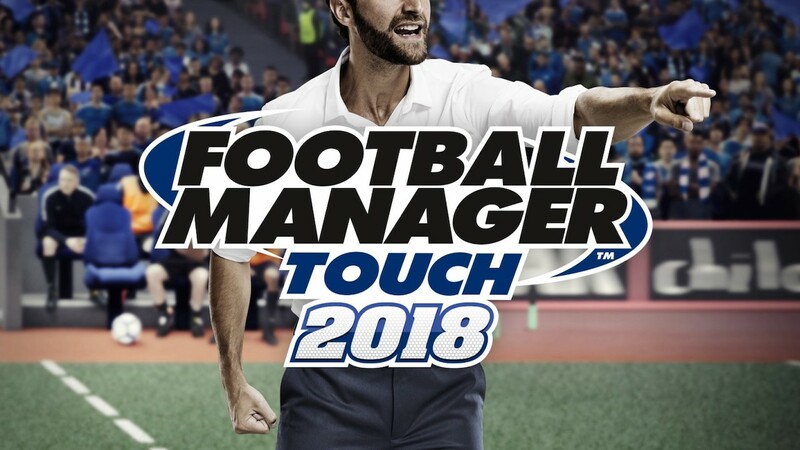 Football Manager Touch 2018 is one of those games where you can play it continuously for years and still enjoy it because there isn’t really a limit on what you can achieve in the game. If you win everything with Barcelona then start again and pick a team all the way at the bottom and try to make them the best in the world. You are also able to create your own team and take them all the way to the top. In addition to this, challenges are included too. These challenges give you a certain task that you have to fulfil. To give an example, one challenge states that you are halfway through the season, right at the bottom of the league and you have to guide your team to safety. Of course, you can make it easier by picking the best team in the league, but you can also make it as hard as possible and pick a team that would be right down there in the real world. It isn’t the complete package version of Football Manager, no, but it is the version that best suits the Switch. Touch screen controls mixed with the good use of the Joy-Con and on the go playability make it a winner. It may go unnoticed but being able to play for 5-10 minutes at a time to continue to progress through a season is a godsend. It has enough depth included that it keeps fans of the series engrossed, but it’s also simplified enough so that more casual players who are worried it will take weeks or months just to finish one season can still enjoy their time with the game. It is a brilliant first attempt on a Nintendo console. All I will say is prepare to get addicted all over again.